Small update to topic. 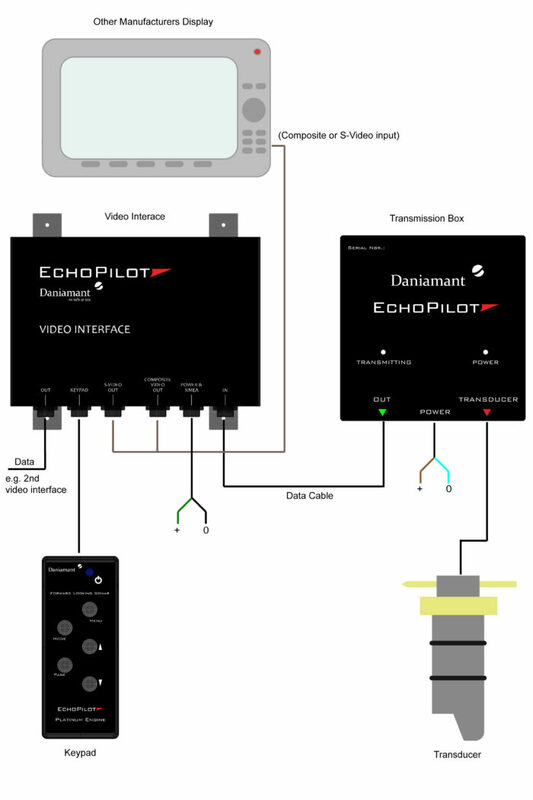 Video how Echopilot works ... depth and distance in meters under the keel and sonar sensor, echopilot in automatic mode, ie change distance when depth changes. Future depth on right side, future depth approximately points in the center of altitude and closer to the boat. Yellow line is a history of reality ...At the beginning of the video "disorder" a possible fish flock. How fast was boat going? The device still working and looks great with my max speed at about 18kn, the reaction time of course shortens. I drive a lot out of the fairways. Here are turbid waters, lots of rocks and shallows not marked on a map or a stone sign on the map is 63 meters in real life. Thx much for the report. I've been trying to follow the progress of these forward sonar units for a bit, and am ready to get one. I believe I'm going with the Simrad, because I'm installing a Simrad package and feel it will fit well. I came very close to the Echo Pilot, and still might change my mind. How does one enterpret this? What does it look like with a tree branch or similar object ahead? What is it's effective range? I can not say about the tree, but I believe it is sending back the message, because clay and sand signal or show a stone even if covered with a lot of plants to the sonair. You can test this with your own sonar, moving some wood under your sensor and believing that the probe detects it. Here is my calculation of how the probe sector grows as the distance increases. Examples. Forward the distance to 100 meters of the beam width there 26 meters. In addition, sonair works and looks effective 1: 5-6 in depth: distance. For example, a 5 meter depth probe can look about 30 meter ahead in real time, which is 8 meter wide from the sea bottom to the surface. In practice it is good that the sector is quite narrow, because it is easier to find a route between stones. If the beam is much wider it would give improper information about the route next to it. 3D FLS is, of course, different, but the price is also x 10. I do not have the experience of smirad, but I think it is also ok. The most important thing is to find the right place for the sensor and that the sensor can be in the straight line and sideways !!! If the sensor is in a place where air bubbles and swirls occur, for example, any other sensor interferes with the sonar sensor and can not function well, this is important to remember. And update video part 2, you can see time 1.23, How much map and reality differ, so there is a lot of security in FLS, If the draft had been critical. Speed 8,2 knots, numers meters, chart is 1/2 nm zoom. Have you been able to test it against small objects like a piling or such? There is a ton of semi/submerged oil rigs in galveston bay. the fls would really be handy here. Speed, or lack thereof, is the key to gathering useful information in that situation. You just can't outdrive your scan so need to be slow enough it can record the data, you can see and interpret it and then you can react. We've found it most useful in areas where we knew there were potential issues. One place had a submerged piling in a marina, but they'd rearranged the docks completely. We were easily able to locate the piling. Another situation in an anchorage with only a small amount of deep area and otherwise very shallow. We were quickly able to identify where the drop off was. Going up into a cove with an ok channel but very shallow to both sides and no markers in that area. Once in an area that had recently had a storm and had high water with a lot of debris. We went slow and kept our attention on it. There was one limb underwater that we may well not have detected and might have hit. We've found only a few times that we needed the sonar, but those times, it was worth the price. Yes, I think it can see, it sees buoyancy chain watch and my anchor chain when anchor what I have experience. The screen can not see the width or size of the obstacle. The screen shows the depth of the obstacle on the surface of the water and the obstacle of the distance. Turning the bow spends the object out of the probe sector and you can find a safe way out for you. The whole section is 15 ° sideways and about 90 ° forward (botom- water surface, and the picture is updated 1-2 times per second. ok thanks. Ill have to add it to my xmas list. Old link post#31 failure... but this is pic. Which Echo pilot unit is this? How long have you owned it and any issues? I have been considering using a small waterproof video camera, just under the surface at the bow, for the same purpose. With a screen at the helm position, it could prove invaluable for conning tricky passages at low speed. I like that idea, SG. The water here almost always has good visibility, and a bow camera would pick up any upcoming lumps in the bottom, as well as the regular dolphins on the bow wave. A portable camera on a mount which could be lifted for cleaning would be ideal. Echopilots platinium, 2017- and no problem device makes what the manufacturer promises, the only surprise it looks max about 90m depth, though at that time nothing can afford to ground like a russian sub . For the device to work well, the sensor installation is most important, it should be in place with as little air bubbles or currents as possible, eg no other ,sensor or thru hull in front / next, etc. The sonar still looks great at my maximum speed of about 18 kn. However, when you run fast, the reaction time and boat speed could be fatal to ground. Thx! By chance does it play on others MFDs? Or does it still need its own dedicated display? I recently installed a Simrad forward scan and am impressed with how much it shows ahead of the boat. My logic is when the depth is that shallow I am going to be running at less than the 7 kt cruise speed and should be able to see unmarked objects in time to avoid them or stop. As BandB well describes and North Baltic. Thanks. I have not used my forward scan enough to comment much but am wondering if the deflector we glassed to the hull is going to create a problem amount of turbulence? It looks very vulnerable sticking down below the hull with nothing in front of it to deflect floating logs. Mine is mounted about 8’ back of bow and 3’ to port of keel. I do not think the Simrad fs will work on anything but some of the late model higher end Navico products. I have attached the Raymarin 120 E classic map plotter video jack. These features can act as a display. "Composite Video and S-Video output are provided, along with all cables needed to attach to most video displays, marine or domestic." The sensor is indeed vulnerable, but fortunately designed to cut across if it hits a fixed and should still prevent leakage. The new sensor, of course, causes cost and effort.